Employees dressed in red on Friday, Feb. 6, for National Wear Red Day, a day to raise awareness in the fight against heart disease in women. Heart disease is the No. 1 killer of women in the United States, claiming more lives than all forms of cancer combined. The health department also held a social media campaign on this day by posting a series of messages on the health department’s Facebook and Twitter pages using the #GoRed and #WearRedDay tags. 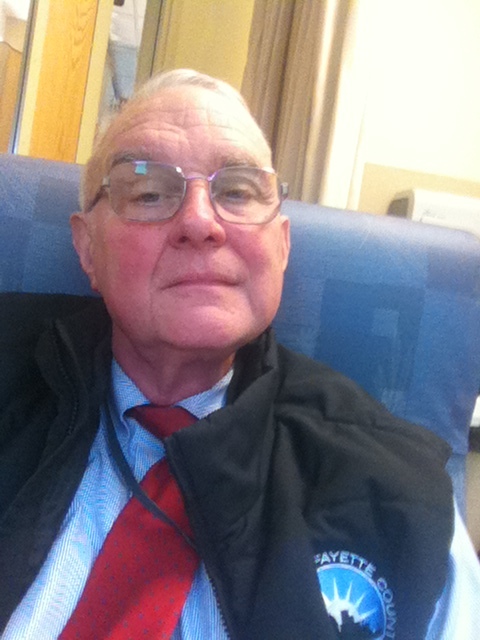 Dr. Rice Leach takes part in #GoRedForWomen with a #GoRedSelfie while undergoing a round of chemotherapy. To find out how these things can lessen your risk of developing heart disease, and to learn more information about heart disease in general, click here.